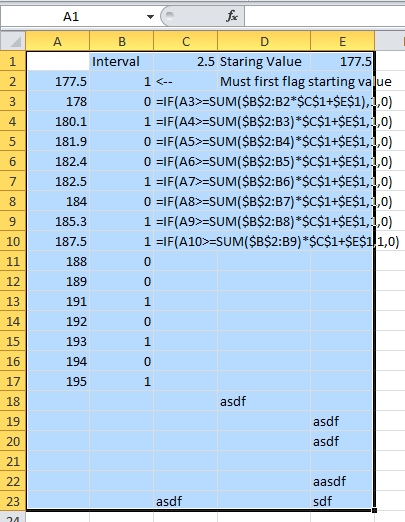 I want to select all values in Excel 2007 worksheet between A1 and end of file (effect of ctrl End). There are always 4 columns but the rows will range from 2 to possibly hundreds. There will possibly be lots of blank cells throughout the selection, including the last cell. The following just goes to the last cell to be selected, not the entire range. How can I modify this to accomplish what I want? How do you select the entire excel sheet with Range using Macro in VBA?